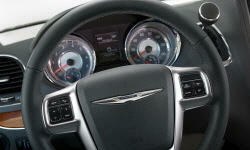 Why the 2011 Chrysler Town & Country? Just took our 2011 T&C from Wisconsin to Florida. Everyone who rode in it down in Florida thought it was very nice. Even my sister with a Mercedes SUV like the T&C better than hers. Just drove 2011 T&C over 3000 miles in one week from Wisconsin to Florida and back. Very nice ride all the way. Drove fantastic in the flat states and in the hilly parts of Tennessee and Kentucky. It never felt under powered, even with the Econ mode on the entire time. Fantastic driving position. Was able to drive for hours with out getting fatigued on long trip to Florida. Lumbar support and heated seat helped keep my back loose the entire trip. 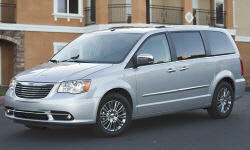 Why Not the 2011 Chrysler Town & Country? When I bought this van, I was not happy with the dealer experience. The last two T&C vans we leased at the same dealer and the sales mgr took care of everything himself. He let us test drive the van for days, did all the deals with no upfront costs at all. He even changed the license plates for us. For the 2011 they had a new mgr and it was painful to deal with him. Back and forth between the sales person and him. And in the end I think I got screwed on the old van I turned in. You would think after leasing 5 T&C vans there would be a preferred customer program or something. I thing they should just deliver the van to me and take the old one away.